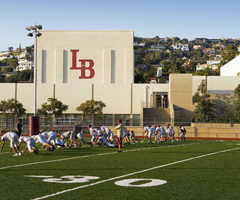 *Disclaimer: The Laguna Beach Unified School District (LBUSD) does not assume any responsibility or liability for the content that may be present within posted flyers or external websites linked to and from this site that are operated or created by or for organizations outside of the LBUSD. The posting of flyers or linking to or from this site does not imply on the part of the LBUSD or any of its schools any guarantee of quality, assumption of liability, or endorsement of the outside organization or maintaining their external websites. Those organizations are solely responsible for the operation of their programs and website and quality of the content including advertisements, links, media, images, and text that they may deem appropriate.